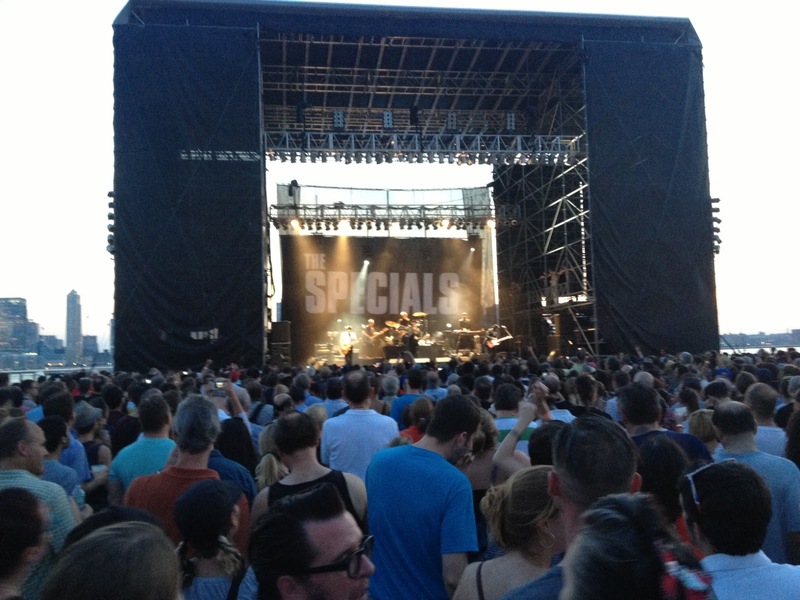 NYC Goes 2 Tone: The Specials and Roddy Radiation This Week! I first heard about The Specials at their end. 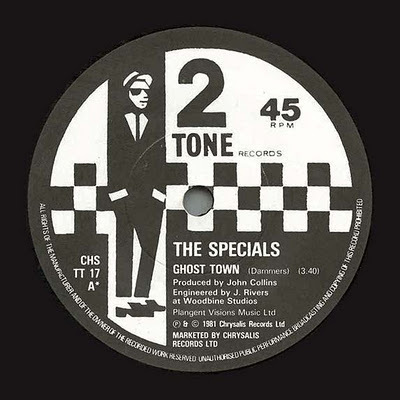 Sometime during the week of July 11, 1981, when Britain was convulsing with riots due to a toxic combination of high youth unemployment and the police's abuse/oppression of people in non-white communities and The Specials' magnificently haunting and relevant swan song "Ghost Town" happened to top the UK charts, NBC Nightly News--of all places--ran footage of the riots with "Ghost Town" as its soundtrack (and commented on the irony of it all). I didn't see the actual music video for "Ghost Town," directed by Barney Bubbles, until years later (MTV didn't exist at the time), but if the sights of Brixton, Handsworth, Chapeltown, and Toxteth burning, with pitched battles between youth and the police in the streets didn't sufficiently portray the dread and apocalyptic societal meltdown conveyed in Dammers' song, I don't know what would've. 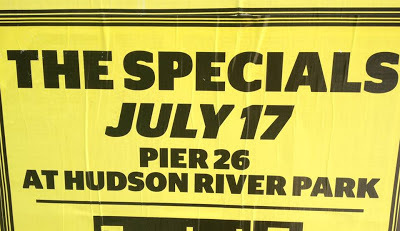 Even though I had been a middle schooler at a boarding school in Manhattan in the late 70s/early 80s (how I came to be there is a long story for another time), I had completely missed all of The Specials' NYC performances, such as their January 25, 1980 date at Hurrah's or their August 12, 1981 date at Pier 84 on the Hudson with the Go-Gos (and, much to my regret, The Clash's legendary residency at Bond's in June 1981)--my school wasn't very far from any of these venues (and during the summers I was home in nearby Yonkers). My friends and I just weren't plugged into these scenes yet (and info on non-mainstream, UK bands was really hard to come by). Much of what I knew about music, and new wave in particular, came by word-of-mouth or happy accident (my boarding school bunk mate introduced me to The B-52s at a time when most of my peers were into Kiss and Aerosmith; I first heard The Ramones' "I Wanna Be Sedated" at a middle school dance--where they also played "Rock Lobster" at least three times by popular demand; though I don't remember who lent me the cassette of Devo's Freedom of Choice--I played "Whip It" over and over until the tape practically disintegrated). I heard much more of The Specials (and all of the 2 Tone-era bands) on WLIR, the brilliant modern rock/new wave station on Long Island that became my lifeline during high school in the first half of the 1980s (and introduced me to some of the greatest music ever produced). Since I hung out with a multi-racial crowd in Riverdale/Yonkers, I found one of the most appealing aspects of The Specials, The Selecter, and The Beat to be their strongly anti-racist stance (in addition to their incredible music). And even though it wasn't exactly ska, The Special AKA's "Free Nelson Mandela" and In the Studio were mind-blowingly good and hugely popular in my circle of friends. 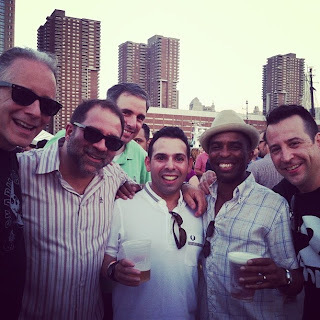 But my full-on passion for The Specials was revived/rebooted in the mid-to-late 80s (college years), as I discovered the stellar NYC ska scene (The Toasters, The Scofflaws, The NY Citizens, and Skinnerbox), Fishbone and The Untouchables, as well as the incredible post-2 Tone ska scene in the UK (Laurel Aitken, Potato 5, The Deltones, Bad Manners, The Loafers, etc.). 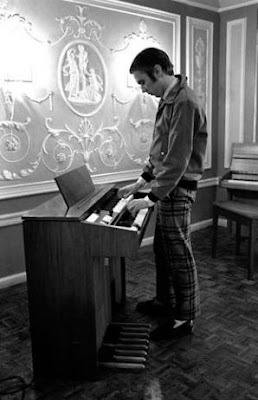 Years later, Jerry Dammers' musical, political, and cultural vision had spawned so many extraordinary bands, so I made it a point to more closely examine/enjoy the source (which, of course, only led me back to genre's real origins with the 1960s bands in JA). Several years later, when I was working for Moon Records, I found myself in the wing of the massive stage at the Manhattan Center watching The Scofflaws (I think!) 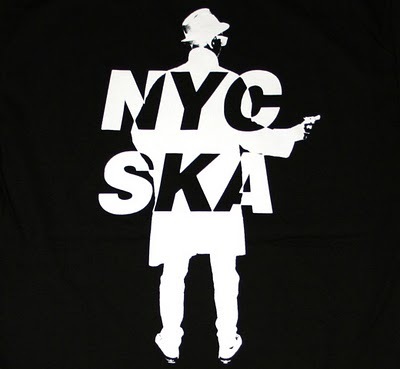 perform at the NYC date for the 1993 Skavoovee Tour (Special Beat, Skatalites, Selecter, and Toasters). At one point, I looked around and the only other person nearby was Specials' drummer John Bradbury who was equally as captivated by The Scofflaws' performance as I was. I was too shy to approach him, but I found that simple moment to be pretty cool and memorable (I felt too awkward/intimidated to hang out with bands backstage then). 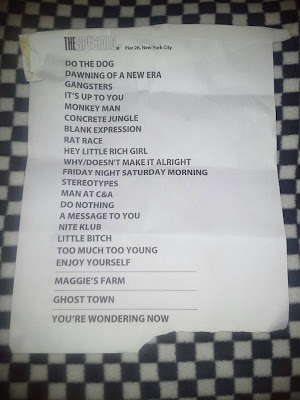 When The Specials MK II played out in the mid-to-late 1990s, I avoided seeing them (I had been scared off by the less-than-stellar Today's Specials and felt that they really shouldn't have been touring using The Specials' name with several key members missing). However, when all of The Specials (with the frustrating exception of Jerry Dammers) decided to reform and tour several years ago, I had desperately wanted to see the band at Terminal 5 in April 2010, but obligations at my job at the time kept me from going (I was running a fundraising event at a non-profit I worked for that same night). All of my friends who went were kind enough to tell me what an amazingly good concert I had missed. Much appreciated, guys. So, The Specials' NYC date this week feels like a once-in-a-lifetime/last chance for me to see (most of) them live (since I can't really imagine that they'll do another big tour after this). I'll be the middle-aged guy in the 2 Tone shirt with a full head of spikey hair enjoying the hell out of himself and making up for a lot of lost time. While I don't expect to get anywhere near the stage at The Specials' show this week, Roddy Radiation will be up close and personal at his solo Electric Avenue performance this Friday night. Roddy will be playing his own fantastic ska-influenced rockabilly tunes (usually played with this band The Skabilly Rebels), as well as the well-known Specials' tracks he penned ("Concrete Jungle," "Rat Race," "Hey Little Rich Girl"). NYC's terrific Pandemics will be opening the night and it's rumored that they'll back Roddy on The Specials' songs. 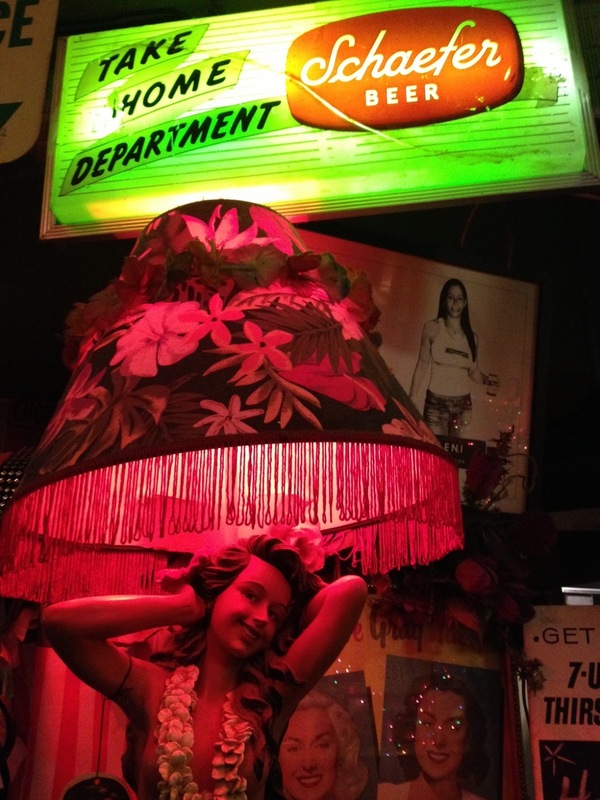 I'll be sharing the decks with my friend Marco on the Bass--playing an eclectic mix of vintage and modern ska. Hope to see you there! 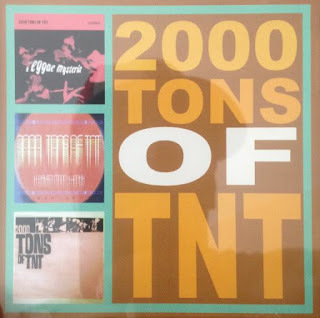 Duff Review/Over the Transom: 2000 Tons of TNT "2000 Tons of TNT" and Dub Spencer and Trance Hill "The Clashification of Dub"
Pressed up to sell during their 2013 summer tour of the West Coast of the USA (and put a little money in their pocket and gas in their tank), this self-titled CD is actually a compilation of all of 2000 Tons of TNT's recorded output to date, including their boss 2012 debut Reggae Mysteria (read The Duff Guide to Ska review here), the 2013 "Harvest Moon" b/w "Wonky" digital single (read The Duff Guide to Ska review here), as well as the newish Lost Sampler, which was released in April and features, "Three lost (and very weird) tracks recorded in 2010-11" (the band's words, not mine). If you want to catch up on their crazy good garage rock-influenced dirty reggae (imagine The Caroloregians crossed with The Lyres), then pick up this disc at one of 2000 Tons of TNT's shows--or contact the band through their Facebook page to order a copy through the mail. I know, this one has been out for a few years, but I just happened to stumble upon it recently while looking something else up on Amazon (it must have been the new Clash Sound System box set, housed in a cardboard 1980s-era boom box, which I had read about in Slicing Up Eyeballs--either a brilliant summary of their career or a despicable grab for cash; you decide). When I saw its clever appropriation of Give 'Em Enough Rope's cover, I had to at least check out The Clashification of Dub--my Clash obsession wouldn't permit anything less. After reading a review of the album on AllMusic by Rick Anderson (he used to do some nice write-ups of the Moon Ska promo CDs I'd send to him back in the 1990s) and listening to some of the song samples on that site, I was willing to fork over the cash for the import CD (and I even found and bought a new, thick, limited-edition vinyl LP version of the album--though with fewer tracks than the CD--for a few measly bucks from one of Amazon's Marketplace partners!). Despite what album's cover might promise, Swiss reggae masters Dub Spencer and Trance Hill's The Clashification of Dub isn't a track-by-track dub version of Give 'Em Enough Rope (ironically, there are no tracks from that album here), but a selection of songs from throughout The Clash's brilliant catalogue. It should be stressed that this is not a remix of the master tapes (were that even possible!) --Dub Spencer and Trance Hill deconstructed these reggae and punk songs, recorded their own instrumental renditions, and then fashioned these dub versions at the mixing desk. The results are a sometimes radical re-working of some of the most revered Clash tracks, which may not always suit Clash purists. 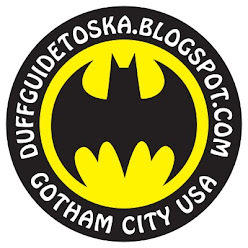 But if you approach these cuts with an open mind (a love and basic understanding of dub helps! ), you'll discover a magnificent, inventive, and richly complex album that pays tribute both to The Clash and dub (that I find myself returning to repeatedly--since I seem to notice new bits every time I listen to it). While some versions of these songs retain enough elements of their original melodies/riffs to be almost immediately recognizable ("Guns of Brixon," "Bankrobber," "Train in Vain," "Police and Thieves," "London Calling," "Rock the Casbah," and a fantastically upbeat "Armagideon Time," which unfortunately isn't on the LP)--and provide the listener with a means of easy access to the album--other tracks require more careful listening in order to discern subtle echoes of their source material (see "Lost in the Supermarket," "Magnificent Seven," "Should I Stay or Should I Go," or even "This is England," off the illegitimate Cut the Crap). Perhaps the best way to sum up/characterize The Clashification of Dub is that I imagine if Joe (RIP), Mick, Paul, and Topper (of course, massive fans of reggay) ever had the chance to hear this album, they'd completely love and embrace it. 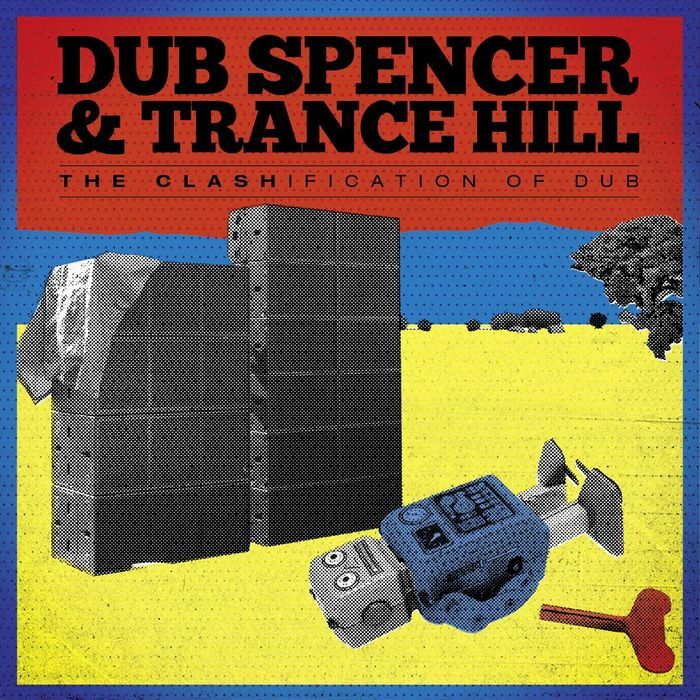 And for of all us Clash fans (myself included), courtesy of Dub Spencer and Trance Hill's inspired musical creativity, this is another take on--and excuse to revisit--some of the best music ever produced by the Only Band That Matters. Two sets of Slackers music plus DJ 100dbs spinning! 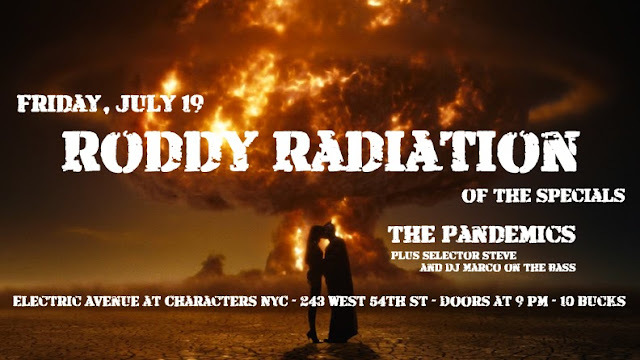 Next Electric Avenue Show: Roddy Radiation and The Pandemics (July 19)!